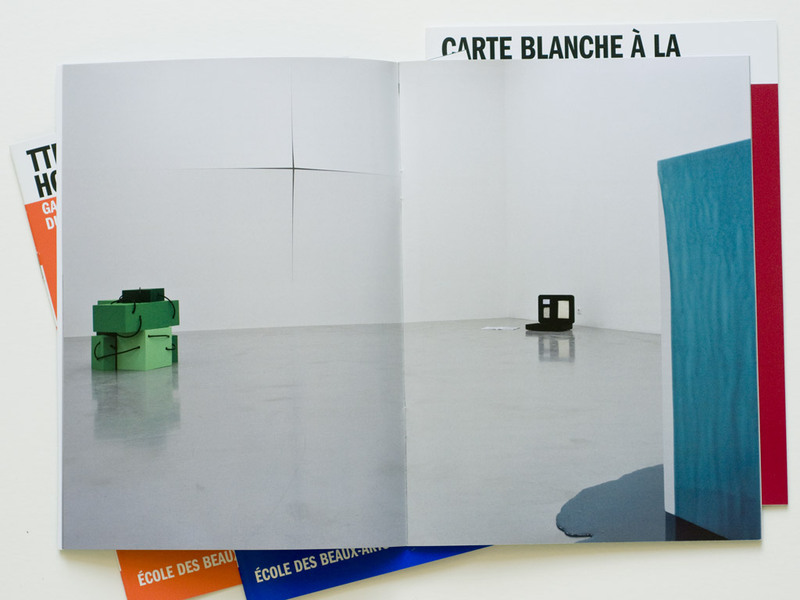 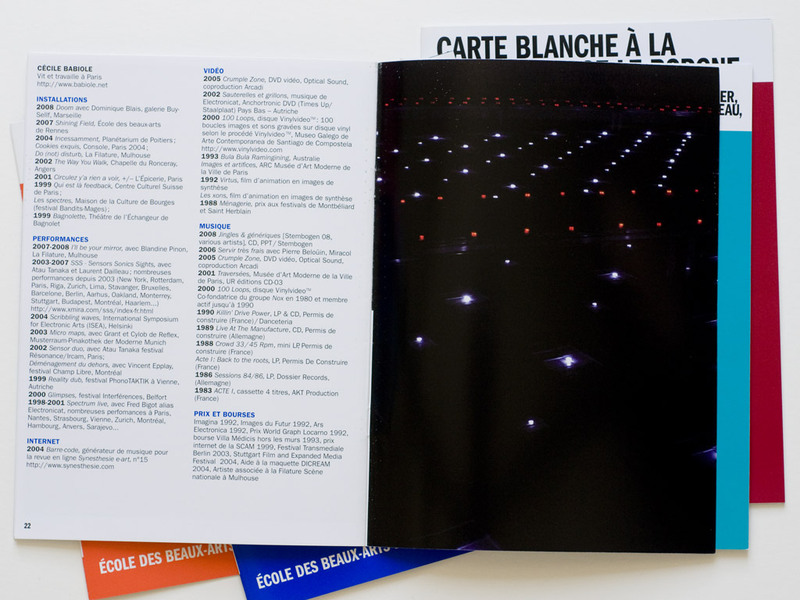 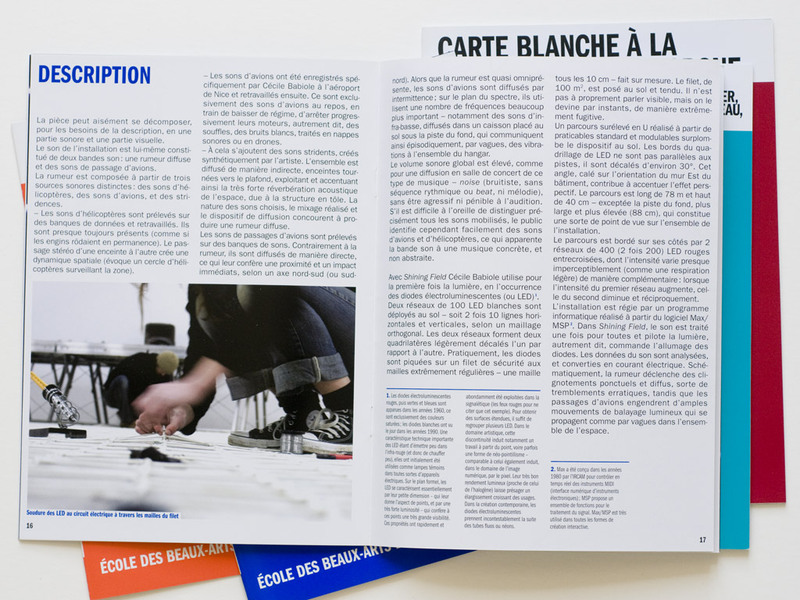 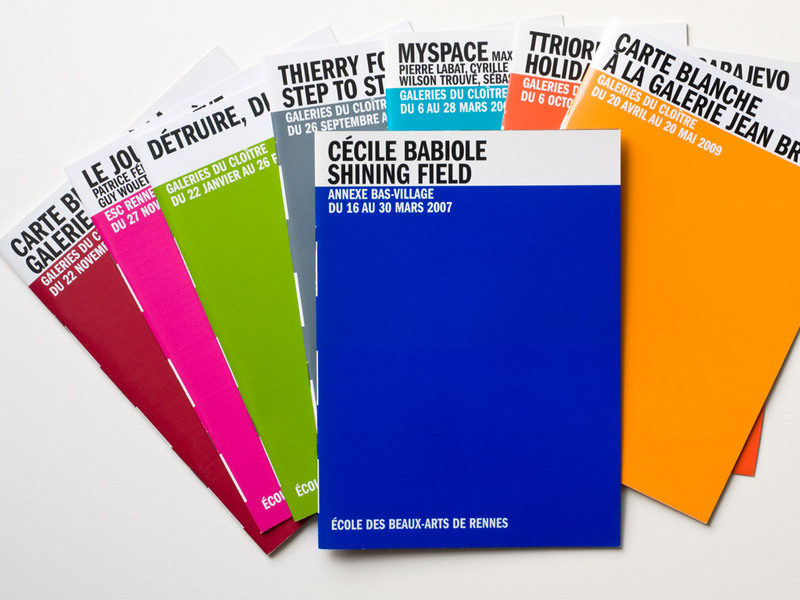 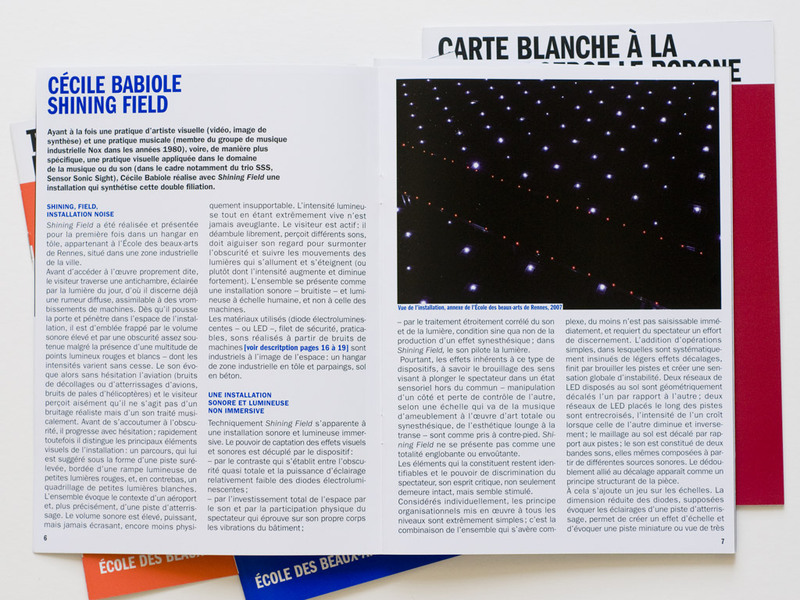 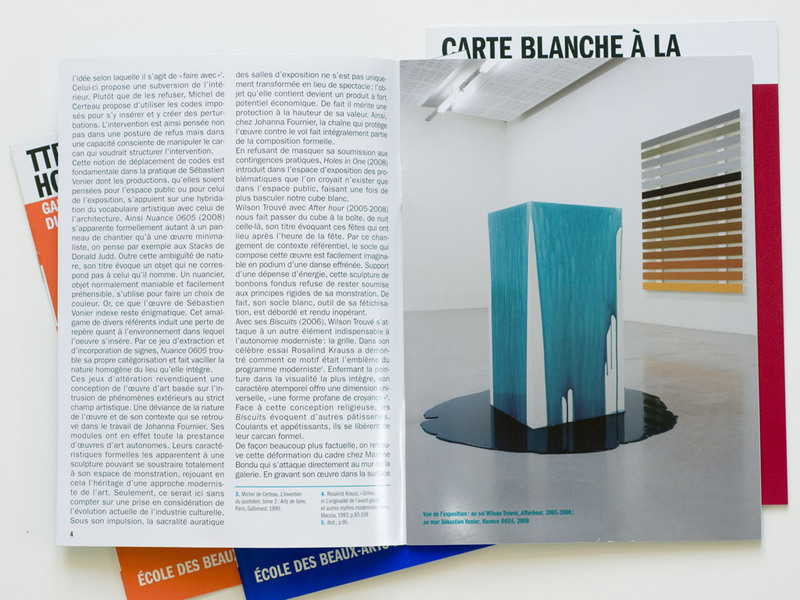 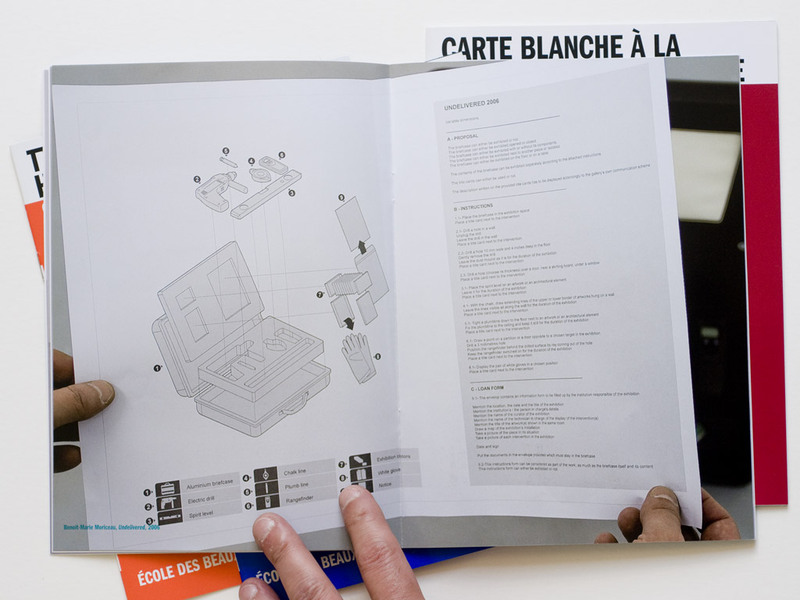 This series of booklets document the exhibitions that take place at École des Beaux-Arts de Rennes. 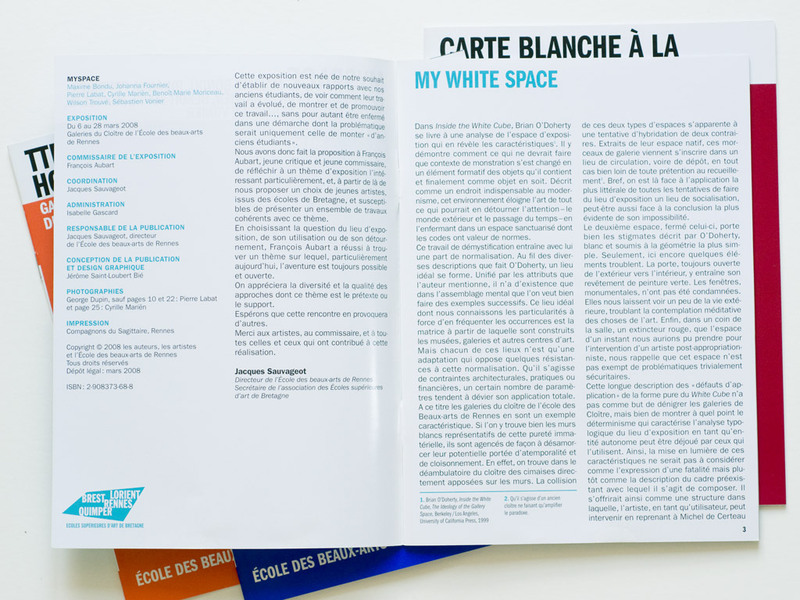 Each volume contains one or two texts and pictures that specifically document the exhibition in Rennes to make them accessible and constitute a kind of archive. 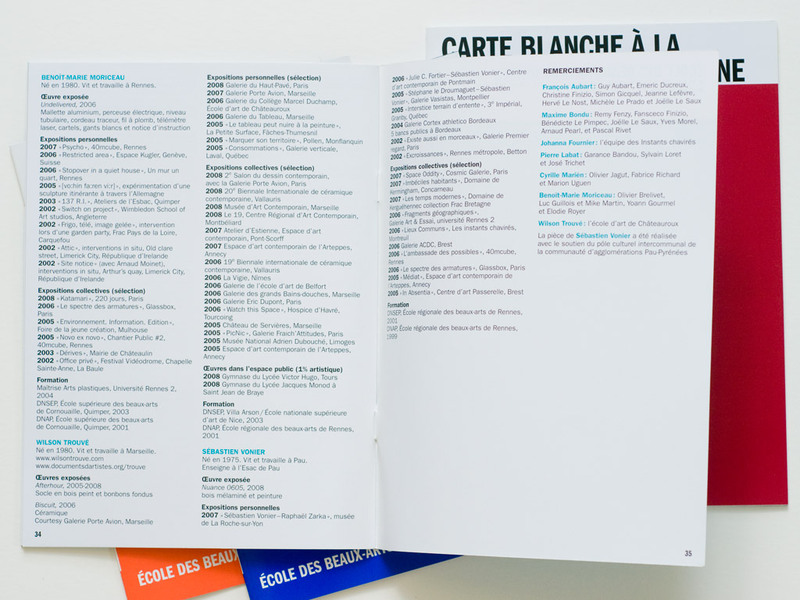 The layout and cover design remain constants, while the format, a single signature, is extremely economical. 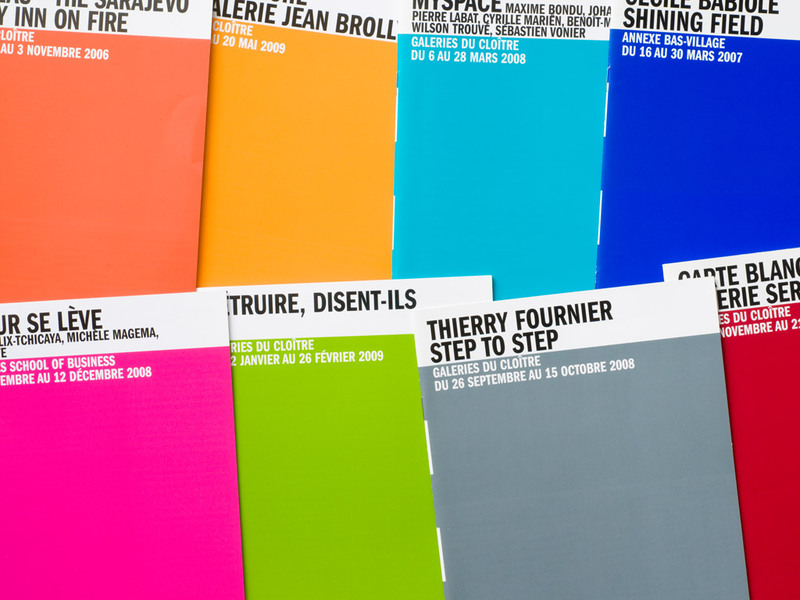 Although there is no spine, the thick dotted white lines on the fold that alternate with the bright colors chosen for the covers, make the booklets easy to identify in a bookshelf.